This net is virtually invisible! You can still enjoy the beauty of your pond and fish while protecting it from critters with this new net. This net will stop Blue Heron, cats, raccoons and other critters from feasting on your koi or goldfish. Blue herons want to walk into shallow water or fly and land in the water, this new net will stop this from happening. This net is virtually invisible! You can still enjoy the beauty of your pond and fish while protecting it from critters with this new net. The knotted material is very strong and will not rip or tear. It is UV protected nylon for longer life span. 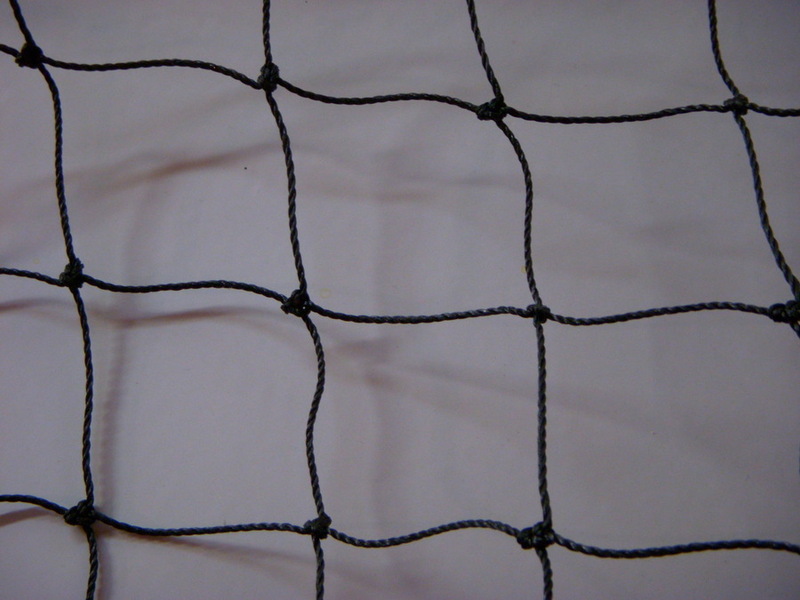 The 1″ BHN has twice the amount of material over the 2″ mesh. If you need a Premium Net for protection, this is the best valve on the market. 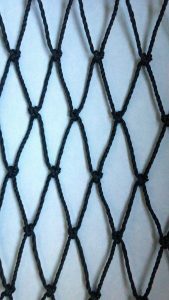 The Blue Heron and Critter Protection net can be used in early spring before your foliage matures to full coverage proving protection for your fish. The net is also great for providing protection from critters when you’re on vacation or away from home. For best protection, suspend this net over the water’s surface. Call us for custom sizes. Our nets are cut into popular sizes and come with plastic pins to hold the netting in place. Storage Tip: After you remove the netting from the pond, hose it down with soapy water and rinse clean with fresh water. Let the net air dry before storing it for the next years use. 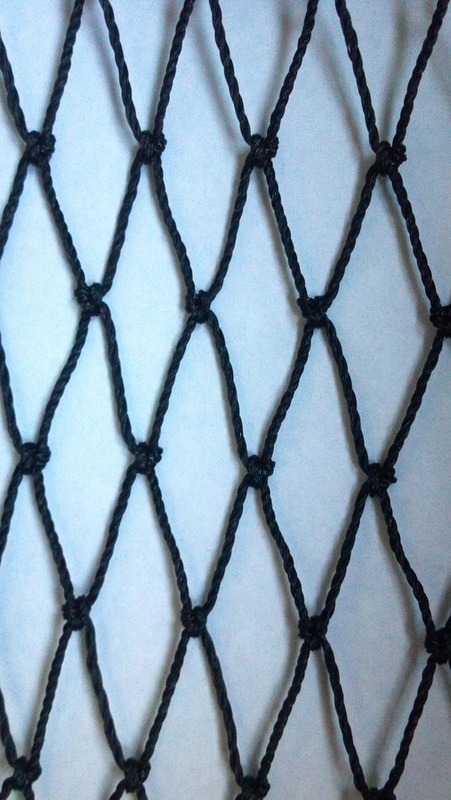 Following this procedure will extent the life of your netting.